Once a week RSU athletes huddle together combining the passion for sports with the passion for Christ through fellowship. Fellowship of Christian Athletes began at Rogers State University three years ago by former assistant women’s basketball coach Michael Wells. “It’s a faith based organization; non-dominational. It’s designed just to give student athletes a place where they can come together and fellowship,” said Ryan Bradley, associate athletic director for external relations. Bradley holds fellowshipping to be most important in giving a chance for students from different teams, programs and backgrounds to come together for a single purpose. FCA brings in guest speakers of former athletes and current coaches to motivate and inspire RSU athletes to grow in their relationship with Christ. FCA partners with Baptist Collegiate Ministry in helping to provide food and games at each huddle followed by a guest speaker. Encourages members to be leaders in supporting other programs and to be involved in campus activities and other faith based organizations. The organization has more coaches and administrative staff participating in FCA this year than ever before. “I think it’s really important for those athletes to see that,” said Bradley. “To see their coaches and the people that are running their athletic program; that this is important to them and that their faith is important to them too. Every year FCA has game day... a chance to go to a college football game. The past games days were at Tulsa University. 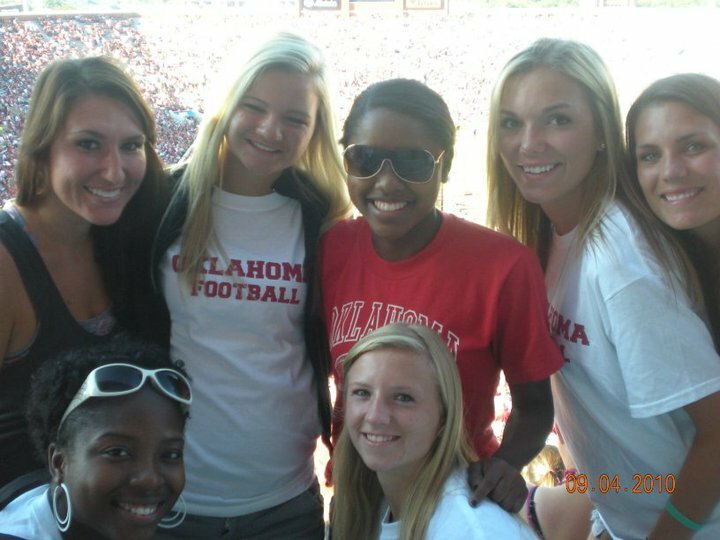 This year FCA was able to have game day at the University of Oklahoma season opener football game. “I thought that would be a great opportunity to kind of kick off FCA for the year and get people excited and involved in what we’re doing,” said Bradley. FCA teamed up with Jamey Gilliland of BCM in securing OU tickets for half price. RSU students paid only $20.00 for a game ticket, a free Hillcat bus ride to Norman and a free OU T-shirt. The organization is open to any and all students at RSU. Whether you have a love sports, know little about the game, or just simply want to be apart of something, FCA welcomes you! When: Wednesday nights at 9:00 P.M.